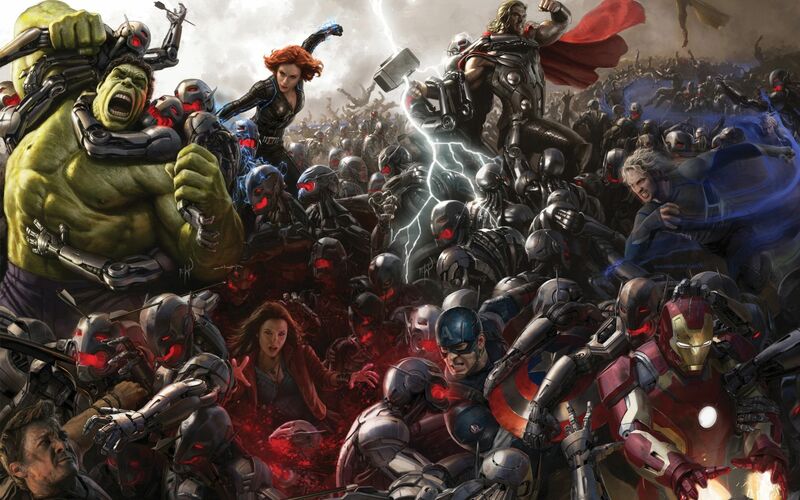 Avengers: Age of Ultron is a movie jam packed with a lot of characters and a lot of little references and easter eggs. Here’s a guide to what you can find in the movie, and even how some things correspond to the comics. BUT, KEEP IN MIND THAT THIS WILL SPOIL SOME THINGS OF THE MOVIE. DON’T READ IF YOU HAVE NOT SEEN THE MOVIE YET. Carry on if you have. Thor’s dream…or rather nightmare…played a part in the movie, but my guess is that it plays a bigger part in the third film with the Asgardian. In Age of Ultron it reveals that Loki’s staff has the Mind Gem. But, Heimdall suggests something that may tie into Thor: Ragnarok. He nearly kills Thor saying that there’s some kind of end with Asgard and the people there. Ragnarok refers to a Norse apocalypse, so I think that this was a hint of what’s to come in Phase 3 of Marvel films. What Happened To That Guy’s Arm? Andy Serkis made his Marvel debut as Ulysses Klaue, who was mentioned to steal things from Wakanda. Why is this all significant? Well, besides the Vibranium that Ultron grabs, he will mostly likely be in Black Panther. What? How did I make this jump to a conclusion? Wakanda is the nation that Black Panther is king over. Ulysses Klaue, or Klaw, has been an adversary of Black Panther in the comics. In the movie, one of Klaue’s arms is torn off by Ultron. The comics has the villain with a prosthetic arm weapon. It’s no coincidence that this all took place before the Black Panther movie. My guess is we’ll see the full realization of Klaw in the upcoming film. There was one reference, I believe, to the actual Age of Ultron comics storyline in the movie. It’s not easy to recognize at all, although you might if you’ve read the major event. The comic Age of Ultron storyline has Wolverine and Susan Storm, aka Invisible Girl of Fantastic Four, go back in time over and over again to try to stop Ultron before he’s even created. It gets a bit tongue in cheek at one point in the comics, and that’s why I think there may be a subtle reference in the movie. The scene is where Stark and Banner are about to start with the creation of Vision and Banner says he feels like they’re in a time loop. Tony repeats the words as well, and in all it’s a bit of a strange back and forth. Perhaps it’s not, but I’d like to think they made a nod to the comics when the actual storyline was unusable for the movie. Hawkeye’s got kids? Even I was a little confused at Clint Barton having a family. Until I realized that this is coinciding with the Ultimate Marvel comics. There are two major sets of comics for Marvel, though the Ultimate line is ending very soon. Ultimate comics was a modern reset for Marvel Comics and major characters without having to interfere with ongoing stories. It was a chance for the company to redo their whole universe for newer readers while keeping old ones. In these comics Hawkeye does get married and have a family whereas the regular version only marries Bobbi Morse aka Mockingbird and they later get divorced. This also helps explain why Hawkeye and Mockingbird never got together in the Marvel Cinematic Universe. 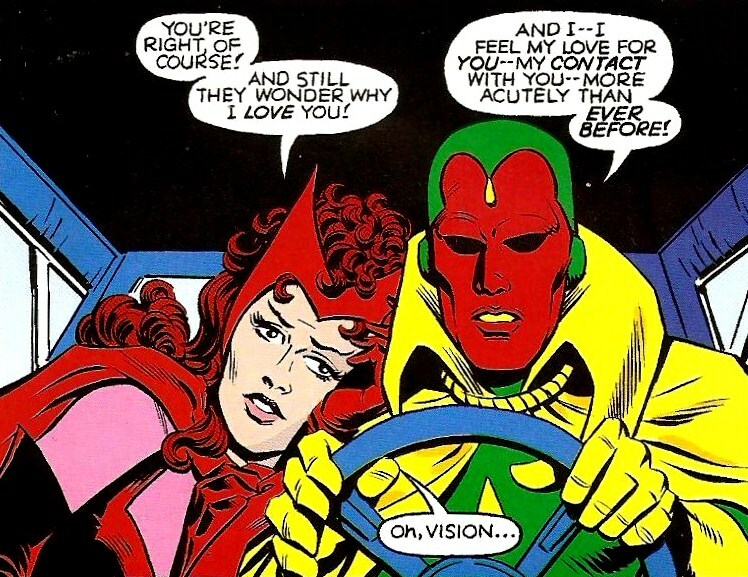 Scarlet Witch and Vision get married in the comics. The implications on such a thing I will not get into, but it happens. So, just go with it for the movies. I’m sure there will be some interesting way of having this happen in the films. Are these two similar in the comics? Well, yes and no. Their whole story seems to be getting redone recently, so who knows what will happen. Quicksilver/Pietro Maximoff has similar powers in both comics and movies. Scarlet Witch doesn’t. In the comics she’s a bonafide witch (although this could still happen in the films) and has the power of hexing. What’s that? It’s where she messes with reality a bit. It’s somewhat similar to her powers in the film where she’s tearing things apart and messing with minds, even to the point that it reveals some future things. But, the comics have her much more powerful. Were they “enhanced” in the comics? Well, they’re mutants for the most part, but now there’s references to them being Inhuman in the comics as well. The main villain himself was not created by Stark and was not to be a peacekeeping robot. 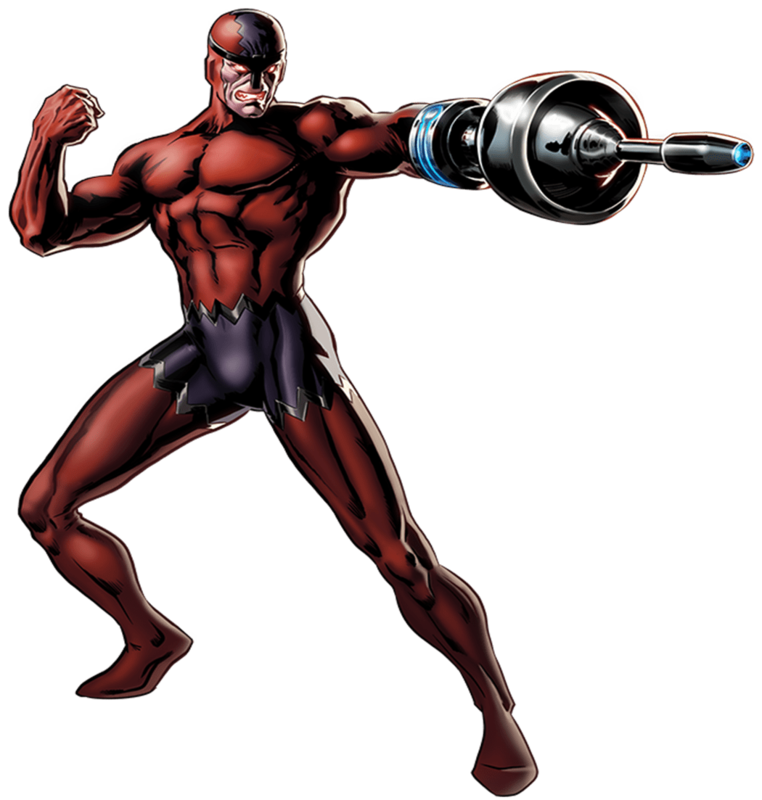 He was made by Hank Pym/Ant Man/Michael Douglas in the comics and just to be a grand experiment in artificial intelligence. 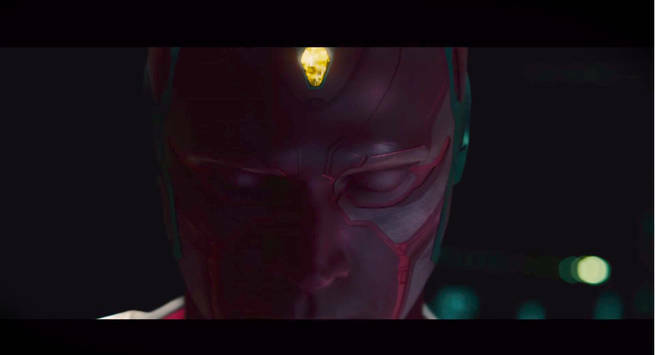 Vision is made by Ultron, and turns good. He’s all android, no real hybrid of multiple things like in the movie. He has more emotion than in the film, but that is done away with at one point. And after he marries Scarlet Witch. 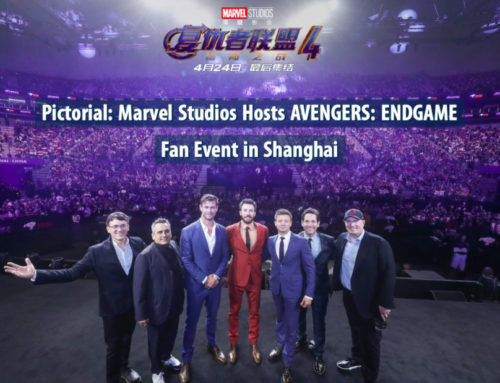 At the very end of the film there is a new team of Avengers. Iron Man, Hulk, and Thor are out. Even Hawkeye has gone on. Why are there new guys? Well, for one thing, some have appeared in other films already. Another practical reason is the films have to move on because some of the actors are getting older to not play these characters much more. 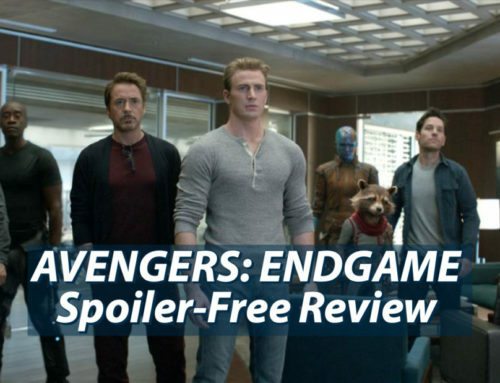 But, the better reason is in the comics the Avengers have had a lot of different lineups. This new roster is one of the more famous ones, although Quicksilver was a part of it. 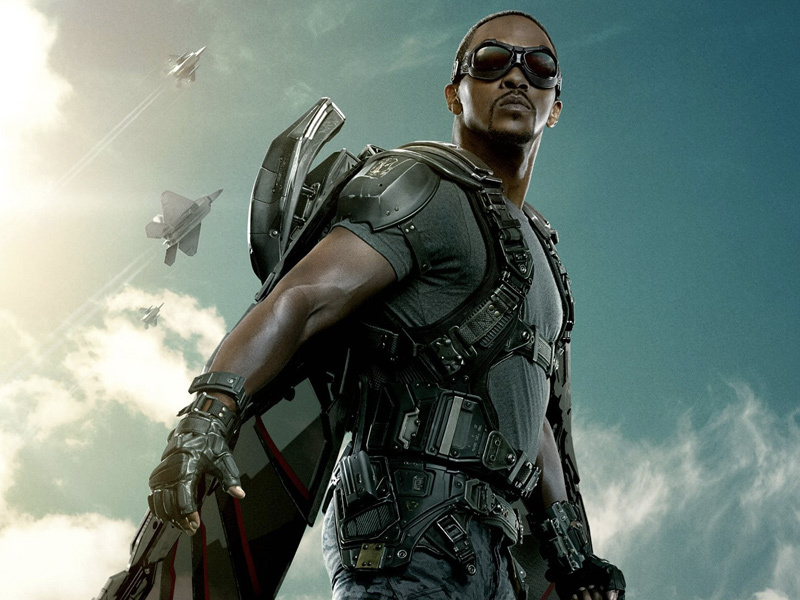 Right now in the comics, for example, Falcon has taken the mantle of Captain America and Spider-Man has been a part of it. 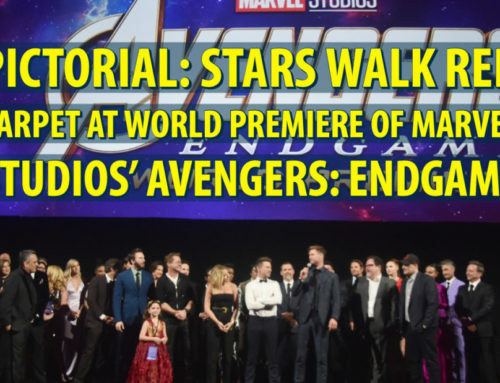 From those two things you can guess where even the films are going to go with the Avengers ranks. I’d imagine we’ll see Bucky as Captain America first, as it happened in the comics. Spidey will be there eventually, and the likes of Black Panther, Dr. Strange, Ant-Man, and Captain Marvel. Even Daredevil, Luke Cage, and Iron Fist have been in the ranks of the comics, so I’d imagine these guys will get a chance on the team in the films someday. Well, that wraps up a lot of what I found in the films, but maybe I missed some stuff. Feel free to chime in with anything you think you found, and even your thoughts on some of the ones I put above! Another reason why I’m kind of bittersweetly fine with moving on to a new line-up of Avengers is that in Age of Ultron I was already starting to feel that the fight scenes were repetitive. 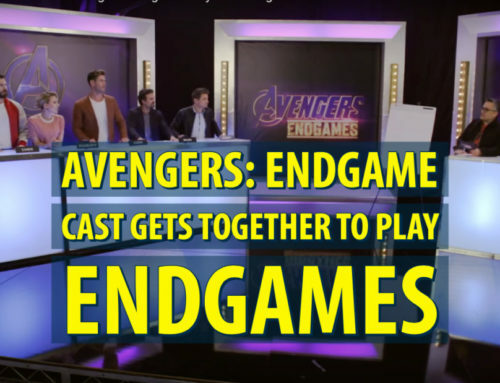 Between this and the first Avengers movie, I feel like there are only so many combo moves, cooperation tactics, split-ups, confrontations, clashes, etc. I think we need a new set of Avengers for the next fights so we can see different fights. It gets a little too easy when the team has these practiced routines (they beat up a bunch of Hydra bases, already). I’m ready to see how Scarlet Witch and Falcon can combine their talents, or War Machine and Vision, etc etc etc. I’m looking forward to the “New Avengers” being the team that addresses the next few major conflicts.